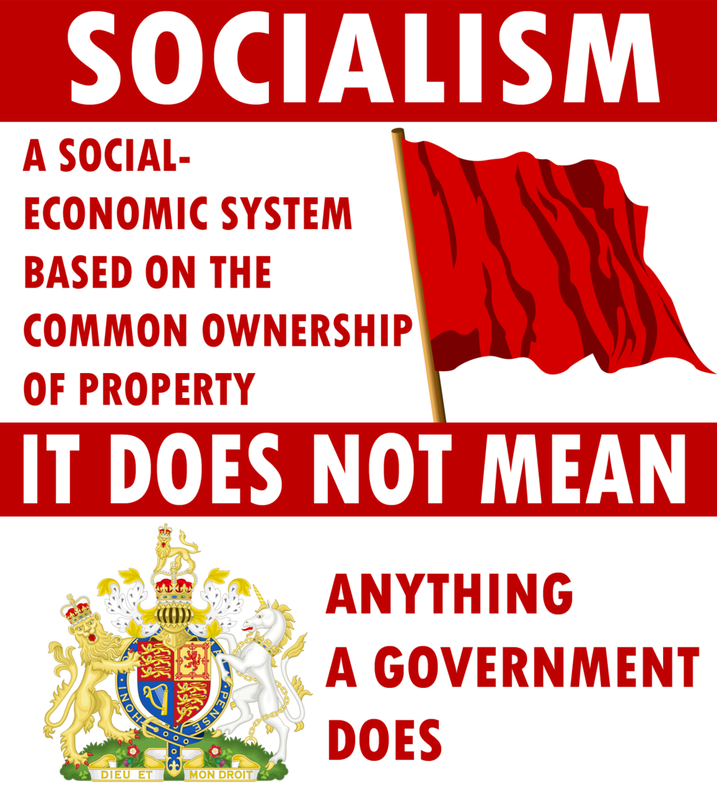 The problem with this definition is that it implies that Socialism runs itself. There needs to be some type of “governing” board, which becomes the government for that ideology. It cannot sustain itself unless someone or a group of people are in charge of sustaining it. That is a type of government. We just finished talking about the way the Elite are pushing their puppets to help create a Socialist state in America, in our last article, Sameness is the New Word for Socialism. In spite of the fact that the federal government is doing all it can to make this happen for those in power over them, there is plenty of push-back from average citizens. The idea that the federal government is attempting to force schools to allow the mixing of young men and young women in school locker, shower, and bathroom areas is par for the course. However, the very concept is despicable, but one that is prized by our leaders as being “progressive” and “meaningful.” Of course, the ultimate goal is to treat everyone in society exactly the same, which is the basic tenet of Socialism. Certainly, pay should be equal (even though in the Obama administration, women still lag behind men in the pay department), and people should be treated equally, regardless of gender, race, or religious affiliation. That’s a no-brainer, yet in spite of policies and law itself, this is not always perfectly accomplished in America. However, to make-believe that there are no differences between males and females to the extent that forcing people of opposing genders to take showers together in school is absurd and simply proves how far some are willing to go to push their Socialistic tendencies. Because it is so “in your face” right now, it could very well be that the Elite believe they have gained enough power to simply put these things into effect. After all, they’re still in the shadows, so it’s of no concern to them how people view President Obama or other politicians who try to foist Socialist values on a Constitutional Republic. Recently, a federal court in Texas ruled to stop President Obama’s “Bathroom Directive,” and just in time too because school was starting there soon. When parents send their children to school today, they can focus on education and rest assured that their privacy and safety is protected. We are thankful that Texans are leading the way to defend the safety and privacy of Texas students as they go back to school. If not for the fact that this is all a play by the federal government to help install Socialism in America (which has been creeping into society since the days of Woodrow Wilson and really got going with FDR. Experts still do not agree on whether FDR’s policies helped prolong the Great Depression or got America out faster. It likely depends upon which side of the aisle the experts fall on. But now, with so many things changing since President Obama became president, society appears to be ready to make another major jump. I won’t bore you with a list of the things that have changed because of Obama’s policies, but in truth, society has changed and changed drastically. He did promise that with his oft-repeated “Change is coming!” mantra, the very same mantra that captured the hearts of millions and brought cataclysmic change to this once great nation. As a Christian, I know where the world is headed and even though that is the case, it is good to see people involved in trying to turn back the tide. There may be some success here and there as we see in Texas, but eventually, Socialism will replace what we have now. But the federal government does not care about you as an individual, or your personal rights, religious or otherwise. What they care about is society as a whole; the masses as it were, and they want to ensure that everyone is treated exactly the same, as long as we are all treated as if we are homosexuals, lesbians, or transgenders. That’s really all that matters, lifting these very small groups of people and elevating them as though they represent the majority percent of people throughout society. It’s the same with Black Lives Matter (BLM), a hate group designed to “prove” that black people are ill-treated in society and going to so far to argue that black men are being hunted and killed by police officers. Because of this, police (and white people of course), have become the enemy of black people. However, leaders in the black community are calling for a war against whites (and law enforcement, of course). The editor of Ebony has decided if blacks killing whites is even a “hate” crime. Of course, because of the very real tragedy of major flooding in parts of Louisiana, people – both blacks and whites – are wondering not only where Obama and Hillary are, but where is the Black Lives Matter movement? Blacks are out of homes, some have been killed in the flooding, but BLM is nowhere to be found. The motive is unknown? Why, because no one believes that she is a Muslim who is bent on killing for Allah? As long as this is denied, it will continue. 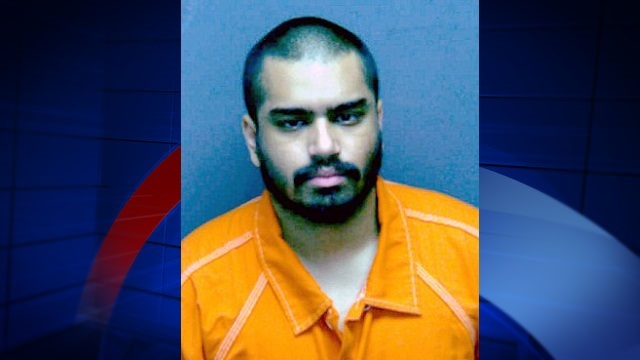 In Roanoke, VA, a young Muslim man by the name of Wasil Farooqui, stabbed and attempted to behead one of his victims, while yelling “Allahu Akbar!” He was arrested is being held without bond at the Western Virginia Regional Jail. What we’re seeing in America is the result of the Elite forcing their plan onto society. They want things in upheaval as they move America toward Socialism. The more upheaval, the better, because it makes it difficult for people to concentrate on any one thing in society. This upheaval allows the Elite to bring their goals and ambitions to fruition because there is so much going on in society that acts as either a catalyst for their goals or distracts people from noticing them. It’s a form of Hegelian Dialectic at work and certainly, part of the reason all this is happening is so that people will eventually demand the government keep society safe. The government will be willing to do this by seriously curtailing and then outlawing personal gun ownership. If Socialism is the ultimate goal for America (and the world), a lot needs to happen before that can come into existence. If not for the Elite, there would be no central banks that determine the value of a nation’s currency. There would be few, if any wars. There would be little upheaval in society because the world would not see a dramatic shift of Muslims from radicalized Islamic countries taken from those countries and brought to other countries in which values are so different from theirs. The Elite are behind every instance of government corruption, gun-running, war-mongering and the like. The use their puppets (elected officials) to foist their will on society, while the Elite themselves remain successfully and comfortably hidden in the shadows. The elected officials take the heat and most of the time, they couldn’t care less about that because of all the perks they receive from the Elite. Don’t believe me? Spend some time reading through the 30,000 emails recently released by WikiLeaks that catalog many instances of corruption and the like from the DNC and many within the Democrat Party. This is not to say that the GOP is innocent either because another hacker just recently released many internal documents related to George Soros’ “Open Society” that highlight how numerous GOP leaders have been bought and paid for and are being used by Soros to spread his hateful rhetoric and goals. A large portion of Congress is fully owned and operated by the Elite and that includes the Oval Office. All one has to do is learn what every president has “accomplished” during their time in office to know that regardless of party affiliation, they all work for the Elite, but are merely paid by the American taxpayer. So what do we do? Well, knowing what’s going on is half the battle. The other half is telling others about it. Beyond this, we can resist the tyranny whenever possible, but I must add a warning here that I’ve stated several times before. Do not ever allow your work to resist the tyranny move you from the main job that Jesus has given us. That job – found in Matthew 28, the Great Commission – is the difference between eternal life and eternal death for everyone born into this life. While it is easy to get caught up into the political system in one form or another, it is easier to let the Great Commission go by the wayside and forget about it altogether. That must never happen, but it will happen as soon as we start seeing people (Muslims, Elite, etc. ), as our enemies. While they are God’s enemies (just as we were before we were saved), they can just as easily turn their back on that position and, through grace and faith, enter into the privileged position of adoption. As long as we live in the age of grace and as long as people have breath in their lungs, it is not too late for them to do a complete about-face, turning from their sin to God by embracing eternal righteousness, made possible by the life, death, and resurrection of our Lord. As we walk through this life, we must understand that the days are evil (Ephesians 5:16). We must also understand that we must act as wise as serpents and as gentle as doves (Matthew 10:16). These admonitions all have to do with the spreading of the gospel of Jesus Christ. Only He can change lives, but it is our job to tell people that they are on the wrong path. It’s a very difficult road to hoe, but one we’ve been called to walk, come what may. Entry filed under: Agenda 21, Atheism and religion, Barack Hussein Obama, christianity, Communism, Cultural Marxism, Emotional virtue, eternity, Global Elite, Gun Control, ISIS, Islam, Islamofascism, Life in America, Political Correctness, Politically Correct, Politics, Radical Islam, Religious - Christian - End Times, Religious - Christian - Prophecy, Religious - Christian - Theology, salvation, Sharia Law, Socialism, Trilateral Commission. Tags: allahu akbar, bathroom directive, islam, muslim, obama administration, radicalized muslim.